How bright is this serum? It looks scary doesn’t it? These were my very first impressions. Second was the scent. It was a lovely citrus, orange smell and it doesn’t linger around once the serum is applied. The serum itself isn’t too runny yet it spreads like a dream. Because of the texture, I only need one drop from the pipette which is enough for both eyes. Any more and it’ll probably leave an orange tinge to the area. I use my ring fingers to dab this around the eye as it is a delicate area. It gets absorbed into the skin easily without leaving any residue. With it’s natural ingredients, free from parabens, sulfates and alcohol, it is meant to tackle dark circles, puffiness and wrinkles. Dark circles are my ultimate down fall and this had helped the eye area brighten up a little bit which I think is due to the colour of the serum as orange does counteract the blues. It isn’t 100% but it is slightly noticeable and feels hydrated. I do still need concealer. 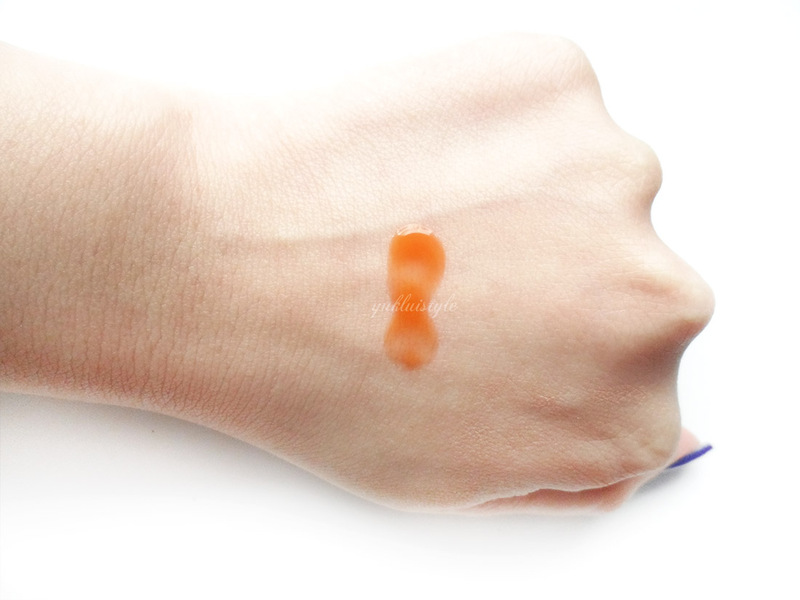 Only time can tell to see whether I am able to notice this serum’s full benefits. I was scared to use this in the morning due to the bright colour so I had applied it at night instead. When I had realised that it didn’t leave an orange colour, I knew it would be great to use during the day too. The pipet is a great idea as I can easily control the amount I need. This bottle will last me ages. This isn’t a hit and miss product; I like it but I don’t love it yet. What’s a great eye cream you’ve used? Wow! That is a bright colour, but like you say, you really need to give it some times to see some proper results. Wow, that color really is shocking! 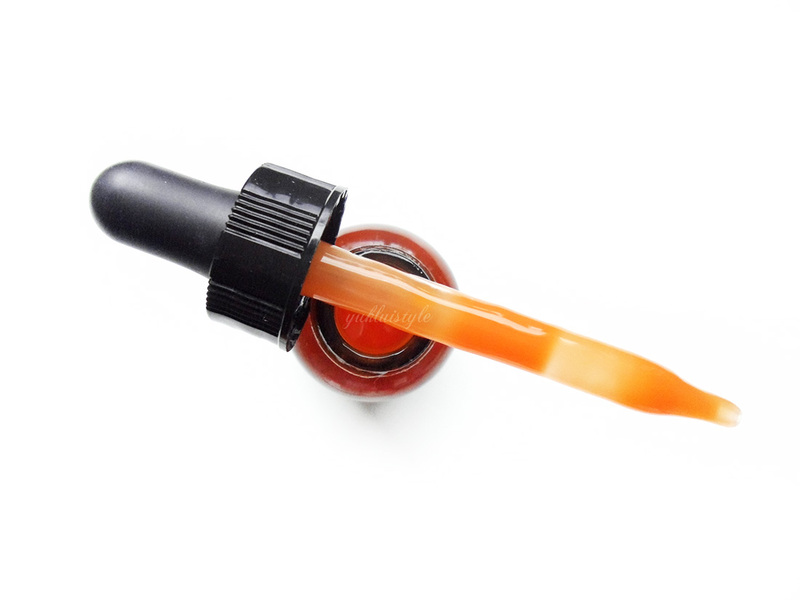 I actually hate the eye dropper with serums because it doesn't reach the bottom and it gets difficult when it runs low. Right now I'm using the Lancome Genefique eye serum and I quite like it! Yeah, it does look scary but great to hear (read?) that it does not stain. I'm currently using Khiel's Midnight Recovery Eye but it doesn't seem to do anything for my undereyes. I'm going to check out their avocado variant next. I've not heard of an eye serum before, let us know how it goes! Eye is the part that will tell our age, honestly… That's why eye serum is very essential important beauty gadgets to have… I love my eye serum..
Yup the colour is very bright….. but as long as it does stain then Im fine….. would love to try it. Im looking for one too…..
wow i need this to cure my dark circle!!!!!!! !ahhhhh i wanna try this! I'm always looking for eye serums or creams. I unfortunately have very dark under eyes, it runs in the family. I doubt anything can help but it is worth the try. I love caring for my eyes, and this is one thing I've never tried on my eyes before. 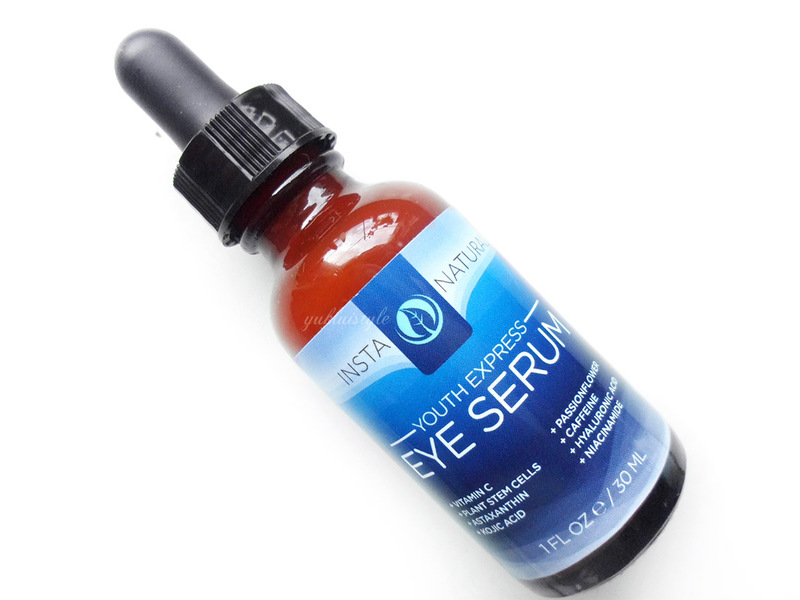 "eye serum"
Seems Like a great product, but haven't heard of this brand at all. I only use Frozen Green Tea Bags to care for my eyes. I'm scared of loading up on Chemicals you see. Sounds like a great product! =) But I don't think I will try this, it's kinda scary. I use a YSL one but I don't see a major difference when I use it. Idk if its because mines not that great or w/e but I don't really don't know if eye creams are worth the hype… Could just be I haven't found the right one yet…. This actually seems like a great serum especially because of the vitamin C. The orange color would have made me nervous as well LOL! I will have to give this a try. I'm currently using Benfits Potent eye cream. Would be great if you can show the before and after photo of using it. I would like to try this product.